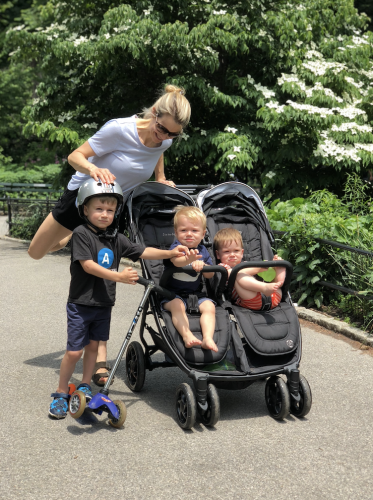 Now that the twins are older and bigger, I need a new lightweight stroller and I found the perfect one from Delta Children. Living in NYC the boys and I are always running around whether it is 50 degrees or 90 degree. We don’t have a car, walking and taking the subway is our mode of transportation! We recently got the Jeep® by Delta Children Destination Side x Side Double Ultralight Stroller from @deltachildren. The stroller is perfect for all seasons, and the twins love sitting next to each other. They keep each other company while we are strolling along and point to all of the bow wows (dogs) and buses. I get the best workouts taking all the boys out! 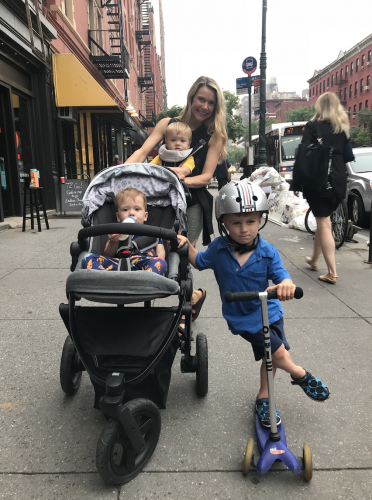 The stroller makes it easier than ever to go places, do things, and see sights with the twins. I am so excited to take them on adventures this summer. 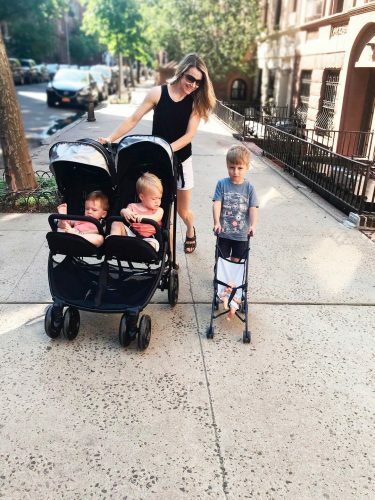 The stroller is loaded with features that make errands with all the boys easier, the double stroller has reclining seats and foot rests to keep them comfortable (or take a nap). For hot summer days the stroller has two oversized canopies with extendable SPF 50 sun visors. The visors protect the boys from the sun, rain and snow. The stroller also has these little windows so I can keep an eye on the boys while I walk. It fits both boys very comfortable, and the best thing is that it is slim enough to get through 30″ doorways with ease. The stroller is easily adaptable to different terrains. It has front swivel wheels that unlock for smooth surfaces; or you can lock the wheels for added stability on bumpy surfaces. One of my favorite features for an NYC apartment is it folds closed in seconds and stands upright. We are limited on space and I like how compact it becomes. The stroller’s lightweight aluminum frame, foam handles and carrying strap make taking it on vacation a stress-free task. The Jeep is easy to maneuver and has a really smooth ride which is awesome for getting around the NYC streets! The best part? The babies love to get outside and all of us moving together!!! I also have to mention how much I LOVE the large storage basket underneath. Most umbrella strollers have very little space to tote things. With twins and a toddler, I have a ton of gear from shoes and extra clothes, to diapers, snacks and toys, I can fit everything underneath. For all of my readers you can use kristin15 for 15% off any Delta children stroller! Delta Children was founded in 1968 by Louis Shamie Sr, he was inspired by the new wonders of parenting. He thought that engineering and safety should be transformed for the juvenile category. He turned his Brooklyn, NY into the world’s leading crib manufacturer. The Shamie family still own the brand and they continue to uphold their father’s and grandfather’s vision. They offer stylish children’s products backed by quality and safety, at prices every family can afford. Delta Children has formed a number of great partnerships with today’s most prestigious brands, and continues to sell high end products to retailers in the kids space. They have strived to improve children’s safety through research, testing, design, and community engagement. Delta Children believes every child deserves a safe place to sleep—and it’s their mission to make this a reality. Join Me on a CORE REHAB PROGRAM!! !